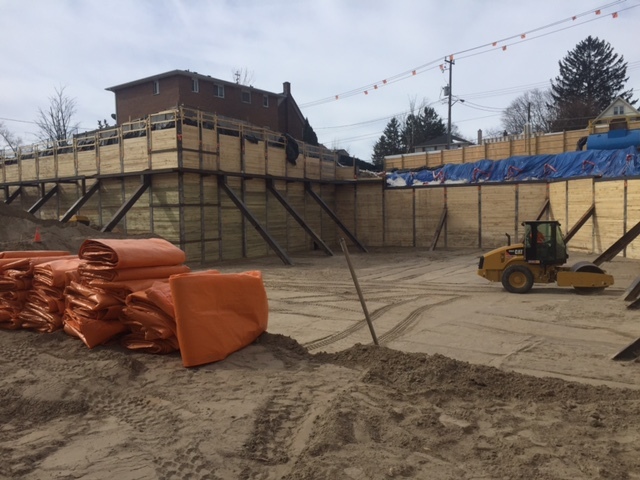 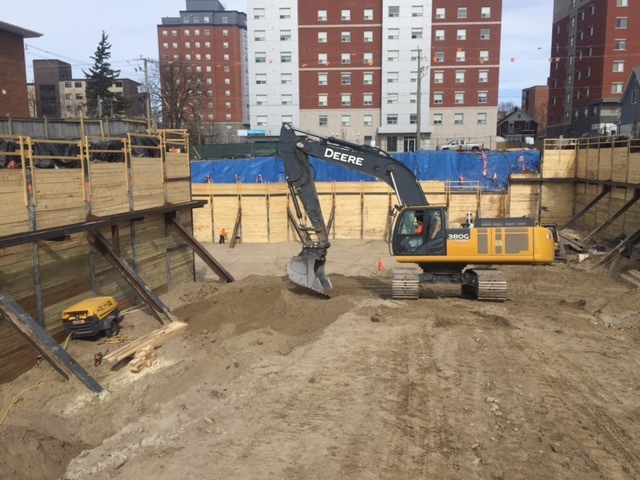 This development on King Street in Waterloo required approximately 15,000 SF of shoring for two levels of underground parking. 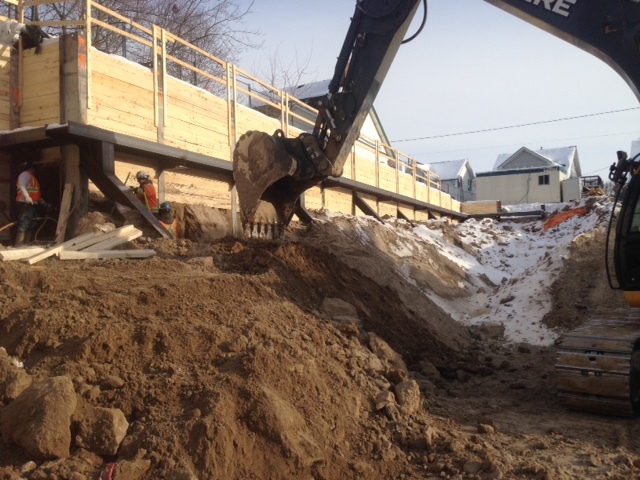 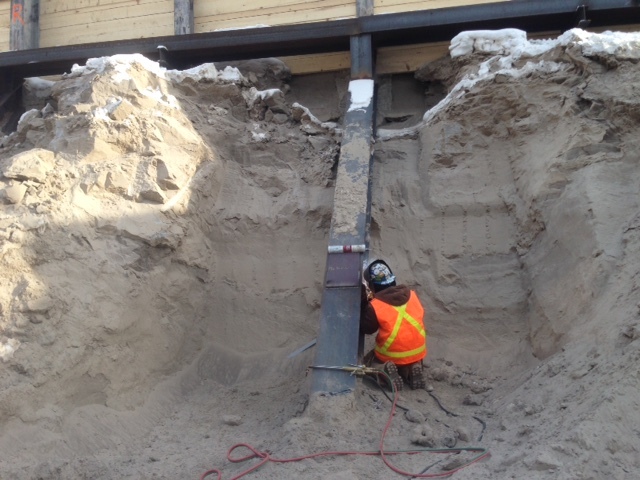 RWH Engineering Inc. (RWH) designed a piles and lagging shoring system with rakers to reach depths up to 9 meters. Wet fine sands required careful excavation and lagging in small lifts to ensure no ground loss occurred. High surcharges imposed by surrounding buildings required the rakers to be jacked in order to lock in the design load to minimize shoring movement. 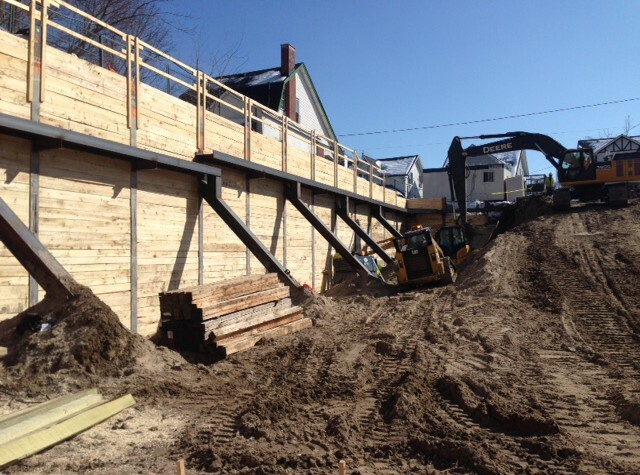 Due to HCM’s efficient construction and project management, this project finished on time and on budget.